Delivery and personal robots and underwater and aerial drones were on display at the 51st annual International Consumer Electronics Show in Las Vegas, the latest and most tangible evidence that autonomous vehicles are continuing to advance thanks to significant investments in research and development. 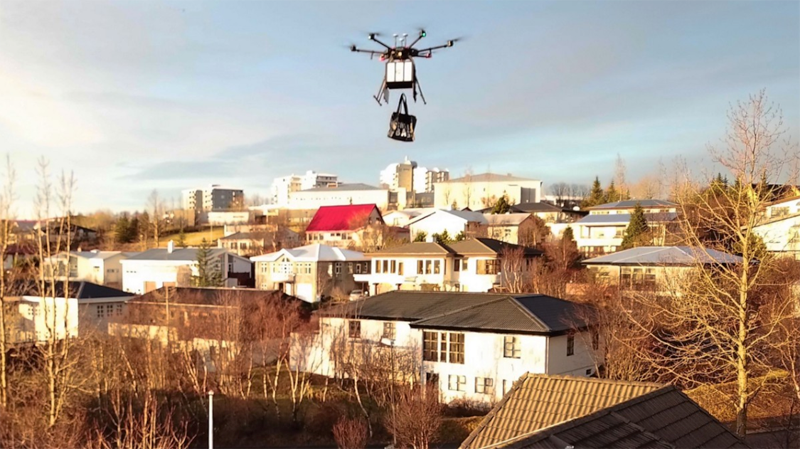 On the drone side, Israel-based Flytrex announced a new $7.5 million investment to help the company expand its drone delivery projects in North Dakota and Iceland—bringing that company’s total funding to $10.5 million. VentureBeat reported Flytrex CEO Yariv Bash saying the new cash will be used to expand existing drone delivery services and also fund its upcoming North Carolina test set to begin later this year. Robby Technologies also showed its Snackbot, which was developed as a partnership with PepsiCo and Hello Goodness. The Snackbots are already bringing snacks and beverages to students and faculty across the University of the Pacific campus in Stockton, California. Building on the initial successes of its Hello Goodness vending platform, PepsiCo has expanded the idea of “curated convenience” into new formats, locations, and experiences to deliver 50,000 touchpoints by the end of the year. The bots are ready to roll with a range of more than 20 miles on a single charge and are equipped with camera and headlights that allow it to see and navigate carefully in darkness or rain, as well as all-wheel-drive capabilities for handling curbs and steep hills. Below the surface, several underwater drones were also paddling around CES, including Geneinno’s Trident underwater scooter and Waydoo’s Flyer, billed as a “personal electric hydrofoil.” The idea of a personal underwater drone might be confusing, commercial applications include underwater research, video production and exploration of smaller spaces than most SCUBA-toting humans can reach.